Vitrification (or freezing) is technology used for freezing eggs or embryos and is available at Fertility Solutions on the Sunshine Coast. Scientist Jean Scott performs embryo movement part of the egg freezing process; the mouth piece is used to perform very subtle movements of embryos during the freezing process. Human sperm have been successfully frozen for decades, with the first successful report of a frozen human egg generating a pregnancy being in 1983. Subsequently both human sperm and embryo freezing have become considered routine and consistent technologies. Human egg freezing however has not yet become common practice in all fertility clinics. It has been suggested that the freezing and thawing methods may disrupt some of the components within the egg and therefore increase the potential for chromosome abnormalities in some of the resulting embryos produced from this procedure. Although there have been a number of reported cases of babies born through the use of egg freezing, it is still highly regarded by most clinics within Australia as developmental. 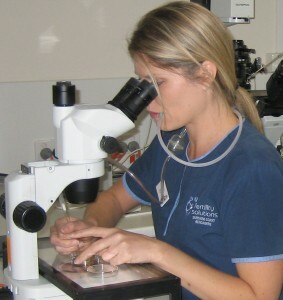 Whilst embryo vitrification (freezing) is routinely performed throughout Australia and the world; and there are many babies born from this technique. The goal of egg freezing is to attempt to preserve some fertility in women at risk of declining fertility. It is not a guarantee that a pregnancy or baby will result from the use of this technology. Storage Dewar – This is a device in which liquid nitrogen is contained and biological material, such as eggs/embryos are stored indefinitely. There are many instances when egg freezing can be used to help preserve fertility. This may be because women have focused on a career, financial stability – or have only just found “Mr Right”. Another reason that women would consider egg freezing is for medical purposes when she has a serious illness and treatment, which may leave her infertile (e.g. cancer treatment). It is important to know that a woman’s fertility is at its peak at around 27 and slowly declines from this point until menopause. There is a significant decline in a woman’s fertility from around 35 which becomes even more significant from 38 onwards – by the age of 40 approximately 90% of eggs produced by a woman are abnormal. In order to assist women preserve their fertility, eggs can be frozen in liquid nitrogen and can then be stored indefinitely (Fertility Solutions has a 10 year time limit) – they are there to be used when you want. Unlike a woman who continues to age, the eggs that have been frozen when she was 32 stay the same age that they were when they were frozen. So what does all this mean? It means that a woman freezing her eggs at 32 who then wants a baby at 40, has a much higher chance of having a healthy pregnancy and baby using her 32 year old frozen eggs than she would if she were to try with her own 40 year old eggs. Who may benefit from egg freezing? Treatment of medical conditions that may leave a female unable to have children (i.e. cancer treatment). The use of egg freezing therefore makes it possible for women to pursue careers and relationships or undergo life saving treatments, with the chance of future success. How will the Eggs be collected? A woman considering freezing her eggs would need to go through an IVF cycle which consists of stimulating the ovaries with specific hormone injections designed to make the ovaries produce an increased number of eggs, rather than the one egg that is normally produced per month. The egg collection procedure is performed as a day procedure under a general anaesthetic. You can generally expect to leave hospital around 4 hours after the egg collection. This is the storage device that we load the oocyte/embryo onto during the freezing process prior to placing into an outer sheath; which is then stored in liquid nitrogen within a patient’s individually labelled goblet on cane. How are the Eggs Frozen and Stored? 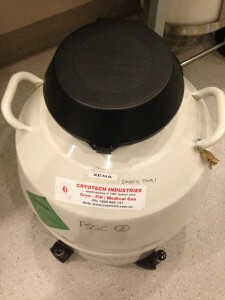 All mature eggs collected undergo a freezing process and are stored in liquid nitrogen at Fertility Solutions. Currently, it is believed that frozen eggs can remain in storage for many years, as is the case for frozen embryos or sperm. When can the Frozen Eggs be used? 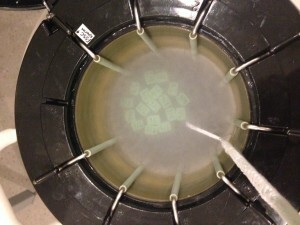 When the frozen eggs are required they would undergo a thawing process within the laboratory. It is expected that between 70% and 80% of frozen eggs survive the freeze/thaw process. For successful fertilization to occur the thawed egg(s) need to have a single sperm injected directly into it, this procedure is known as Intra Cytoplasmic Sperm Injection (ICSI). Not every thawed egg will fertilise however it is expected that approximately 70-60% of frozen oocytes, injected with sperm, will fertilise. Once an egg has been fertilised, an embryo develops and the best quality embryo will be transferred into the woman’s uterus, either 3 or 5 days after thawing. What can go wrong with the egg freezing process? No eggs are collected at the egg collection procedure. The reported incidence of this complication happening is less than 5%. 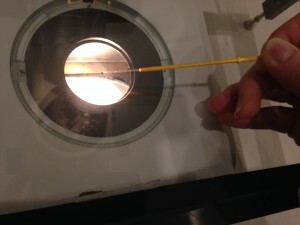 The eggs collected are not mature and therefore may not be able to be suitable to inject in the future. This complication is not common and would be seen in less than 5% or cases. None of the eggs frozen survive the thawing process. This complication is more likely to be seen when the number of eggs collected are low. None of the thawed oocytes fertilise even though the sperm was injected into them. As with the above, this situation is more likely to occur when the numbers of eggs injected are low. A pregnancy test is negative despite having embryos transferred into the uterus. A pregnancy may be confirmed but does not continue to develop i.e. miscarriage or ectopic pregnancy. This can also occur by natural conception. A baby may be born with an abnormality. 2-3% of all babies born are reported to have an abnormality and is not necessarily related to having had fertility treatment. 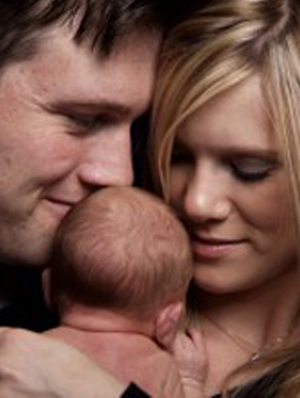 It must be noted that all of the above scenarios can occur under normal IVF procedures. Women considering egg freezing as an option must be aware that it does not give a guarantee that a healthy, live baby will be the result. In fact, Fertility Solutions encourages women to talk with a counsellors or specialist about this decision – so that all possible aspects can be considered. If you would like to talk with a counsellor, please ask your nurse who can arrange this for you. It is important to emphasise that this technology is still in the developmental stages. If you would like more information, please phone (07) 5478 2482 and speak with a Scientist.